Hand Cheese is cheese that comes from Hesse and typically it is served with “music” – so raw onion sauce, which has very strong taste. 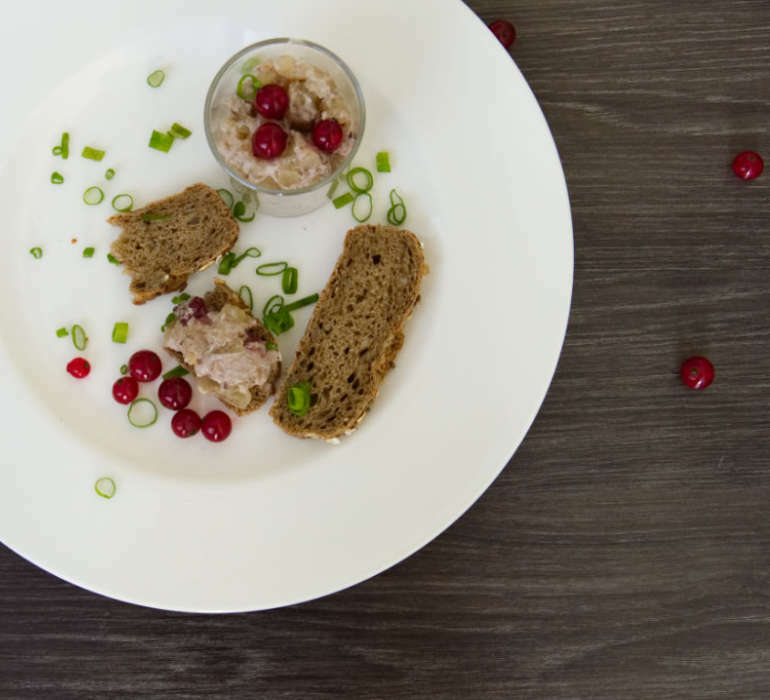 The Hand Cheese Spread with Cranberries and Horseradish recipe comes from the recipe book written bei Brigit Naam “Handkäs’ Kompositionen” and is great alternative to the traditional recipe. The cranberries and horseradish go really well with strong flavoured hand cheese and give it spicy and sweet taste. I love it! 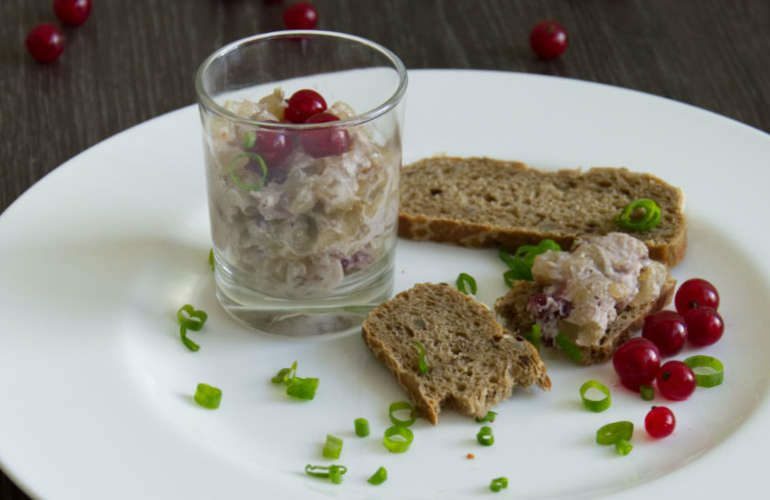 In case you got some hand cheese in Hesse you can try this recipe – you will be amazed! Hand Cheese with Music Recipe and Hand Cheese Tatar Recipe.